How Much Power Does Google Really Have Over Your Business? If you find this post interesting, please share it with your friends and colleagues. Like it or not, almost every business in the world relies on one company to some extent: Google. For most of us, this reliance is a simple fact of life, and nothing to really be concerned about. After all, if everyone is reliant, why does it matter? In today's post, we'll find out. Some people describe Google as the “centre of the internet”. Proven fact or not, there’s no denying that it holds incredible power over a huge percentage of the global business. If Google’s search engine shut down on a whim, countless businesses would no doubt follow suit, all because of the reliance on the SEO and PPC facets it provides. But how reliant on Google is your business, and how can you be sure this reliance doesn’t become over-reliance? How often does somebody ‘Google’ your business? Google is such a huge company that its name is now a verb – to ‘Google something’ is to search for it – and that’s a credit few businesses can match. But when it comes to potential customers finding your business, for a large proportion of companies, Google is a real lifeline. 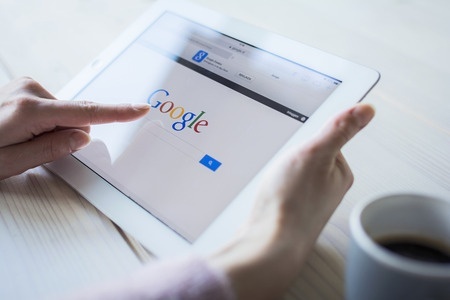 There are an average of 2.3 million Google searches every second, so it’s easy to see why Google can be the #1 source of leads and prospects for a lot of businesses. Whether you’re actively working on your Search Engine Optimisation (SEO), or you pay for clicks via PPC programs like AdWords, the result is the same: reliance on Google. But if Google can help customers find you, why might it be a bad thing? How comfortable would you feel if your company had just one customer or client? Regardless of how much revenue this client creates, anybody would tell you that this situation is precarious at best. But it’s a scenario that’s not too far removed from the reliance many businesses have on Google. If the lion’s share of a company’s clients are coming from the big G, what happens if Google just disappears one day – or the company is removed from Google’s index? Both are huge (and very real) pitfalls. In additional to these hazards, you may also find that making changes to your website can result in losing steam with Google’s rankings. Even something as simple as changing a service’s name or description can result in your slipping to page 2, 3, or beyond! This can have a real negative effect on your bottom line. So how can you avoid being too reliant on Google? The old adage “Don’t put all your eggs in one basket” very much applies here, especially when it comes to the channels you use to find new clients. But in order to reduce your reliance on Google for the maintenance of your bottom line, you should also focus on existing clients. In many cases, ensuring you have a good relationship with your customers (via a quality CRM system like AutoVu) can mean you lean less on new leads and more on repeat business. Whether this applies to your business or not will depend on your industry, but there are a couple of other ways to wean yourself off Google. For example, don't forget about more traditional forms of advertising: print, television, radio – or even making deals with websites directly to show your ads there. Do a little research and you may be surprised at how many options other than Google are still very effective. For a better way to ensure your business thrives and survives in the competitive world of business, why not try the AutoVu CRM system on for size? You can even give it a go totally free of charge, and find out how much it can help. To find out more, explore our site now or call our friendly team on 0845 474 8824 to learn more. Customer Relations Manager for Autovu Solutions, a software developer focused on automated sales and service management solutions for the growing business. If you would like to know more about AutoVu and what we can do to help your business, why not check out our Frequently Asked Questions page, or Contact Us any time to discuss your specific requirements. Do you need a CRM system yet? The Bandwagon Effect: Has Your Business Tried it Yet? What Does Your Customer Service Roadmap Look Like? Is it an Enquiry, an Opportunity, a Sales Prospect or a Lead ? Have you become business complacent? Do we over rely on our providers for internet connectivity? Want to upgrade your CRM but don't know where to start? The Five-Year Plan: What Will Your Business Look Like in 2021? Rise of the Machines: Are Messenger Bots the Future of Online Advertising? Can you read QR codes? © COPYRIGHT 2018. AutoVu Solutions Ltd. All Rights Reserved.